Need an aluminium door cost? Get a free quote today. Looking for aluminium doors in Hampshire and need a price? Double Glazing On The Web has a wide network of trusted installers in the UK and we can put you in touch with a fully accredited supplier or installer in Hampshire. Request your free aluminium door quote today for a free, no obligation quote. 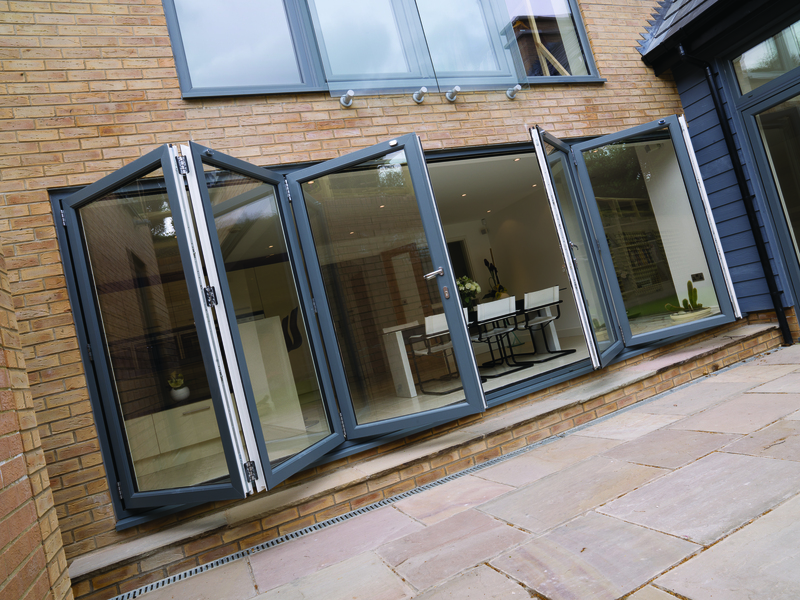 We also provide free online prices for aluminium bi-fold doors, start your quote here. When you want style combined with an unrivalled performance, aluminium doors should be your first choice. These double glazed doors come in a range of options and are versatile, practical, and can be tailored to your tastes. Aluminium doors will suit any Hampshire property, whether your home is contemporary or more traditional. Aluminium doors are great as a front door or a back door and are available in a wide range of styles, including bi-fold doors, French doors, residential doors and patio doors. These aluminium doors range are amazing, giving you a sleek and stylish appearance. The streamlined aluminium frame ensures that you get the greatest benefit from the double glazed areas. Not only does the range of aluminium doors look fabulous, they are also high performance, offering energy efficiency, exceptional security and outstanding durability. Whether you want a new aluminium door that blends in with your home, or one that makes a striking feature, both are possible due to the impressive range of over 250 RAL colours. You can choose whatever colour suits you and your home to create a truly bespoke finish. Your aluminum door can be fitted with high-security locks making your Hampshire home incredibly safe and secure. Your supplier or installer will be able to provide you with their choice of market-leading locks, with additional security upgrades available. The thermally broken frame combined with high quality double glazing makes our aluminium doors incredibly energy efficient, so your home will be kept warm on the coldest of days. The inherent strength and durability combined with low threshold options make aluminium doors the perfect choice for wheelchair users and those in need of excellent accessibility. These hard-wearing aluminium doors have been designed to never warp, rot or fade, ensuring that with the minimal amount of maintenance, they will always look fantastic. Aluminium doors are available in a variety of options including double glazed bi-fold doors, patio doors, residential doors, entrance doors and French doors.